The use of pozzolanic materials in the cement and concrete industry has risen sharply and continues to grow. Lime-pozzolan composites were used as a cementing material for construction of structures throughout the Roman Empire. The term “pozzolan” was first used to describe the volcanic ash mined in Pozzuoli, a village near Naples. Our laboratory has performed research and quality control testing with pozzolanic materials such as Granulated Blast-Furnace Slag, Metakaolin, Coal Ashes (Type C & F), Silica Fume and mineral admixtures such as limestone additions. Our testing laboratory is audited and/or inspected by AMRL (AASHTO Materials Reference Laboratory), CCRL (Cement and Concrete Reference Laboratory) and the US Army Corps of Engineers for concrete testing. Our laboratory accreditations include: ISO 17025, AASHTO R18 and we are an approved laboratory for the US Army Corps of Engineers. Our employees are active members in ACI, ASTM, ICRI, FRCA, ASCE and SWRI. 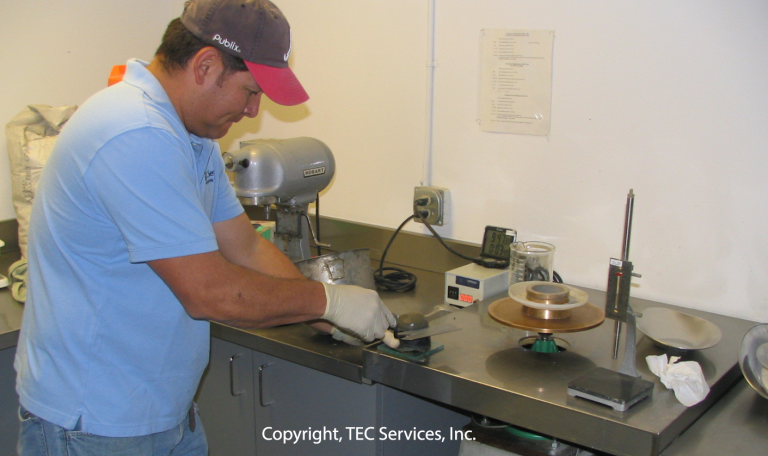 Several TEC employees are current or past committee members, committee chairs, board members and presidents of the above mentioned organizations local and national chapters. 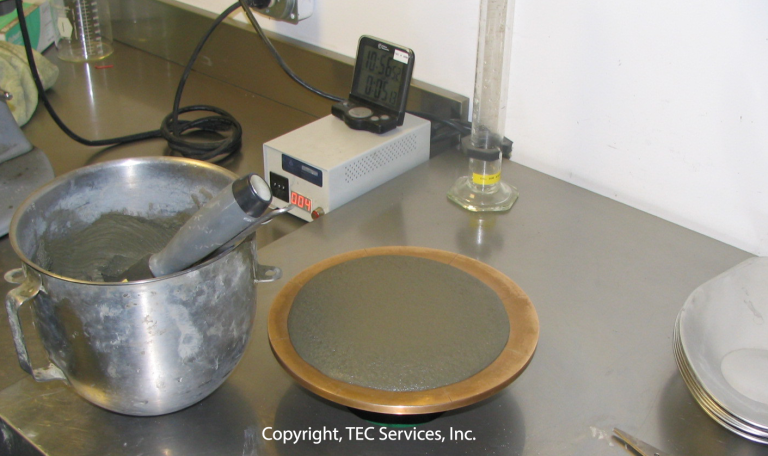 We work closely with ASTM in the development of test methods, testing guidelines and specifications. Our list of tests below are ASTM tests that we perform on a regular basis. If a test is desired that is not listed, please call us and inquire for further details.